With the highest horsepower and Rated Operating Capacity (ROC) in the popular 500 class, the T595 moves faster and get jobs done sooner. 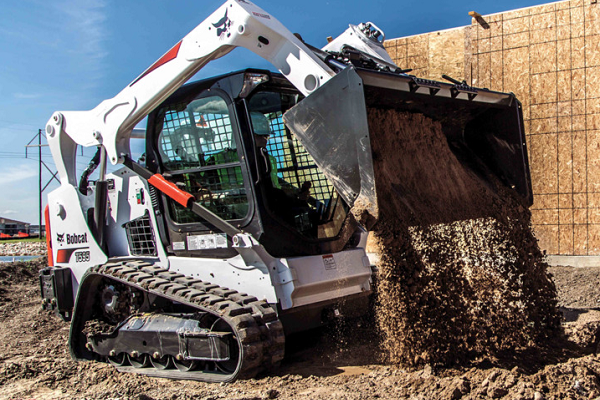 Delivering superior performance for pushing or digging applications, the 74hp Bobcat® T595 removes the need for operators to move up to a bigger machine. 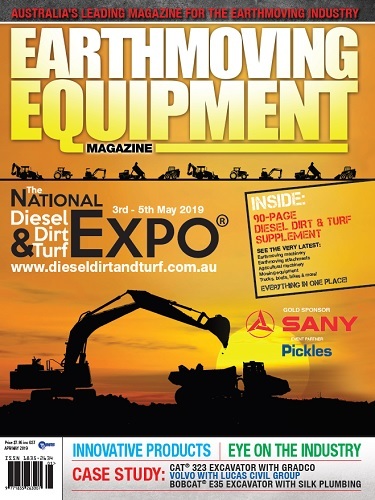 With a 998kg rated operating capacity and improved lift force, the T595 compact track loader from Bobcat Company can help to increase jobsite productivity, plus it can move or carry more material with an attachment to increase jobsite efficiency. At 1727mm wide with a standard construction/industrial bucket, the loader’s compact size allows it to work in confined spaces, move confidently within a congested worksite or travel between homes. 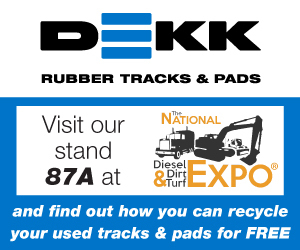 Its rubber tracks cause minimal ground disturbance for fewer repairs to established lawns when a project is complete. M2 Series Bobcat loaders also bring a new level of comfort to operators and the T595 compact track loader is no exception. Construction contractors can complete tasks such as excavating, grading or site preparation more efficiently with the T595 to increase jobsite profitability. The vertical-lift-path T595 is a productive and versatile machine ideal for jobs that require a powerful and durable compact track loader. 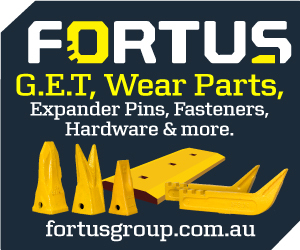 Operators can choose from more than 50 genuine Bobcat attachments approved for use with the T595. Non-hydraulic attachments can be changed easily from inside the cab with the press of a button to activate the Power Bob-Tach® attachment mounting system, further increasing jobsite productivity. Bobcat T595 compact track loaders come with standard controls (hands and feet) or optional Selectable Joystick Controls (SJC). Available on the T595 is a 2-Speed travel option that allows operators to choose between low and high travel speeds to better match the jobsite conditions and tasks. A best-in-class travel speed of 16.7 km/h in high range boosts jobsite productivity. The T595 incorporates multiple design elements to help protect the owner’s investment and minimise machine downtime. Transversely mounted engine allows for easy access to daily maintenance items to encourage operators to perform the tasks. Simple checkpoints make it easier to perform maintenance at the proper intervals. Auxiliary quick coupler is mounted directly to the front plate of the lift arm to provide solid mounting, and hoses are routed through the loader arms for better protection. Guard bar extends in front of the coupler for added protection and less downtime. 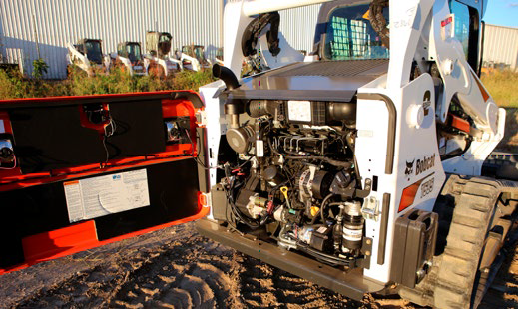 Solid steel tailgate protects the machine from damage and minimises downtime. Standard machine shutdown protection system automatically shuts down the machine to avoid catastrophic failure. Monitors engine coolant temperature, engine oil pressure and rpm. 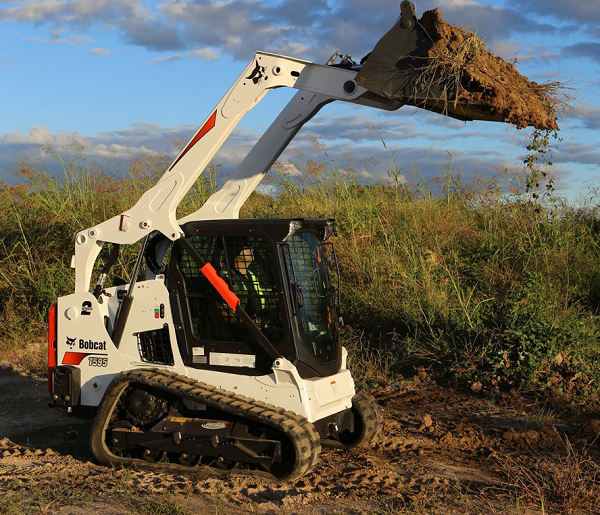 With the introduction of the T595 compact track loader, Bobcat now offers its customers a range of unique compact track loader models to choose from.